[email protected] +1 (321) 445 1107 | +1 (321) 445 1131 8750 Exchange Drive, suite 4, Orlando, Fl 32809. We are a company based in Orlando Florida, with a long history in trucks and heavy machinery. Thanks to our experience and years in the market offer the service of care and welfare of your truck or heavy machinery. We offer advice on maintaining your filters, cleaning or replacement within 24 hours. Our commitment is with our customers, make aware about environmental care and especially the long-term savings if corrective filters are made on time. 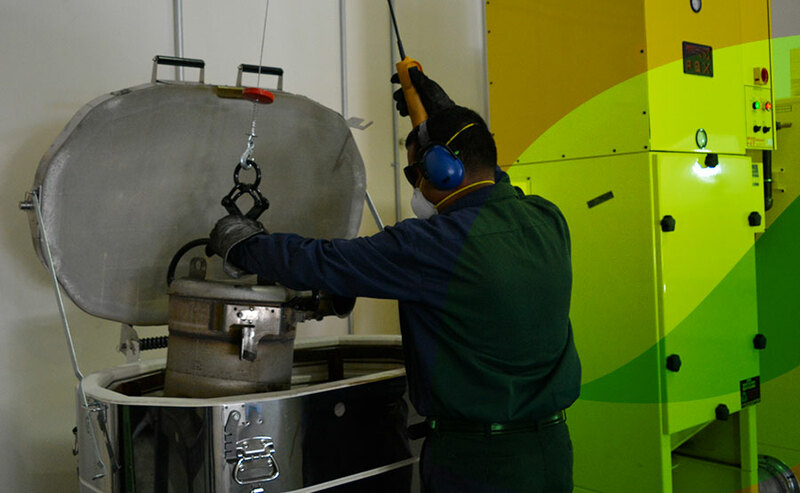 DPF Solutions we strive to improve every day our cleaning standards to ensure quality in this way extend the life of your vehicle and reducer the toxic emission into the environment. 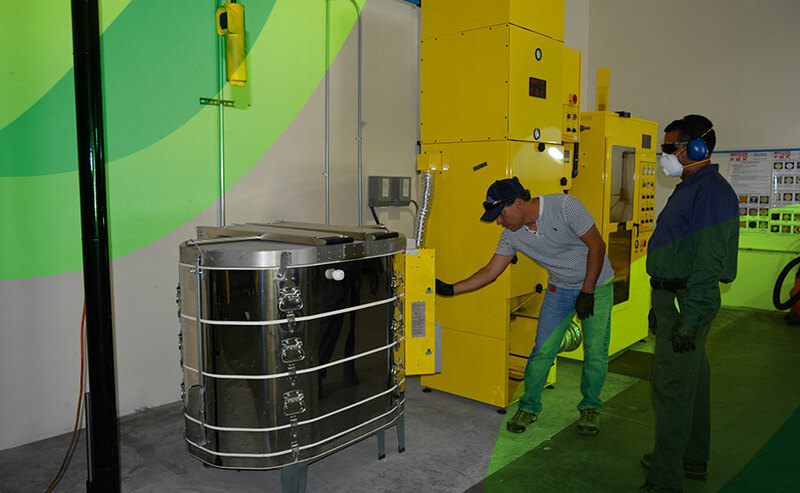 Most of the trucks have a process called " Passive regeneration " which consists in raising the temperature in the filter to burn the maximum amount of diesel particles accumulated in the interior. 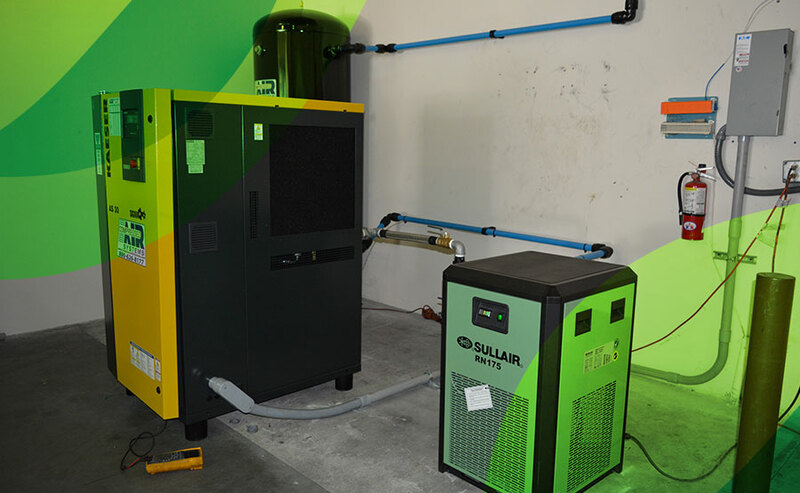 This regeneration manages to carbonize only proportion of particles, some still attached to the porous material which is made filter and may only be removed by cleaning with either air pressure of 120 pounds or with high heat temperatures up to 1112 degrees for several hours. Now we make the process faster, aware that every minute your truck is off the tracks is lost money for your business. Our commitment is to you and the environment. The first step is testing the filter; this process is done on the FSX TRAP TESTER. The FSX Trap Tester is an airflow test bench that measures the amount of resistance the DPF has to airflow through the filter. As a DPF fills up with dust it creates additional resistance to airflow thus increasing backpressure on the engine. This measurement is the basic for determining the effectiveness of the cleaning process. This process is done on the FSX TrapBlaster. 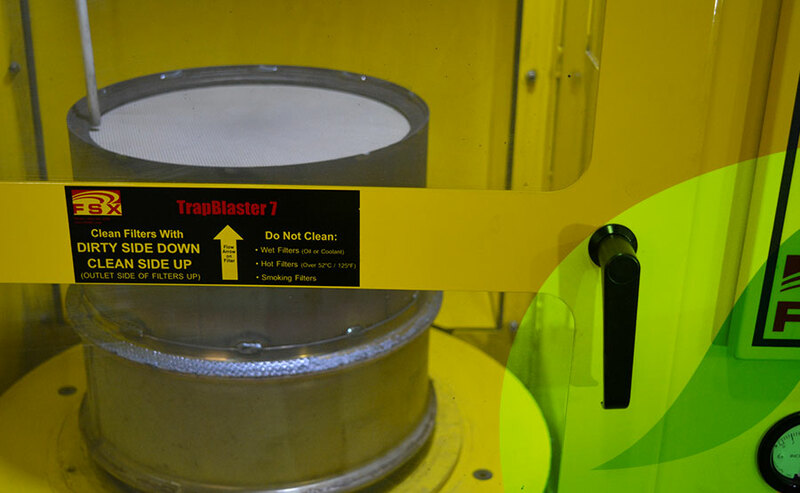 The FSX TrapBlaster is the primary method of removing the accumulated ash and soot from the DPF. 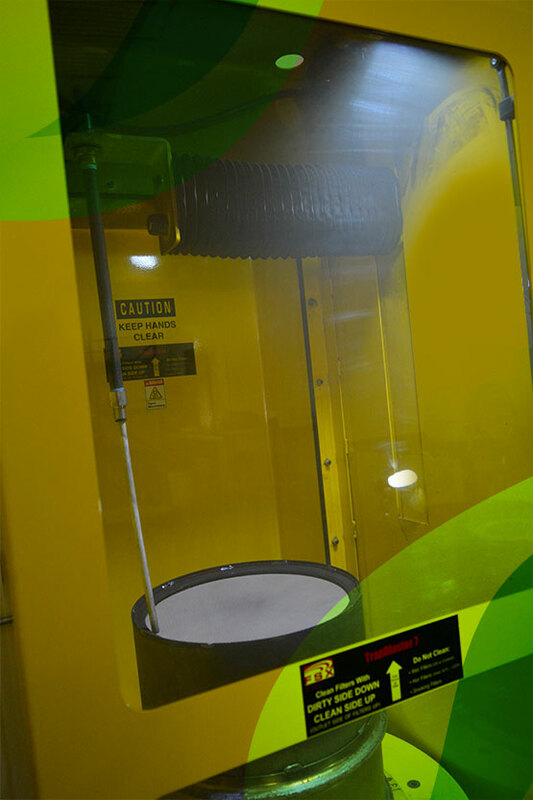 The DPF is subjected to high pressure scanning air jets on both ends of the filter. This process individually targets each of the many cells of the filter to remove as much dust as possible. This process is done on the FSX TrapBurner. The FSX heats the DPF to oxidize any soot trapped in the filter and loosens ash deposit. This process also removes oil residue from the filter which would interfere with the pneumatic cleaning process. The thermal cleaning process I not necessary for every filter. 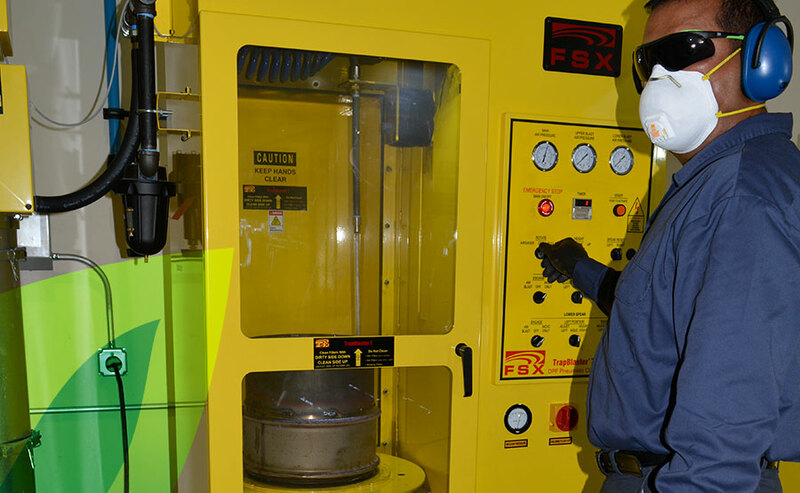 Proper employment of the inspection and testing processes will determine when the thermal cleaning process is required. 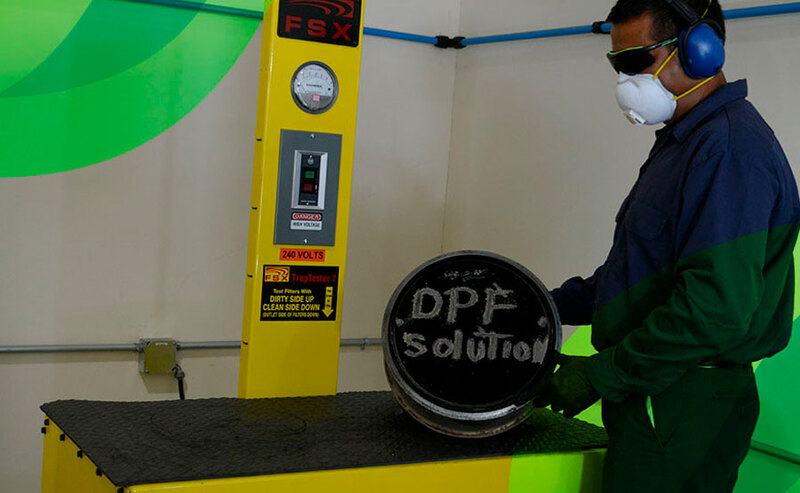 DPF Solutions gives an extra service to the customers. No extra cost! 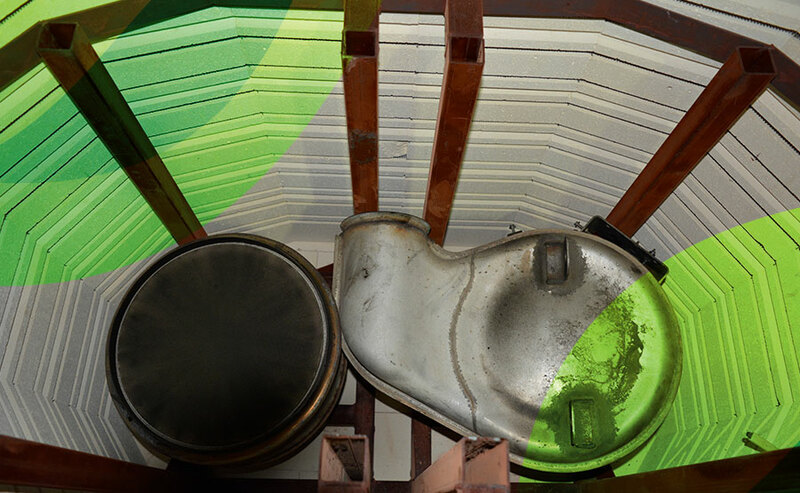 The filters after passing through cleaning processes inside the filter, we give an external ended with a paint high temperature up to 1200 ºF, to protect the filter corrosion, prevent cracking, chipping and peeling. We have the option of having a large stock of filters. Our customers can make replacement of filters after passing through the Testing. If the filter has any damage to go through the cleaning process. 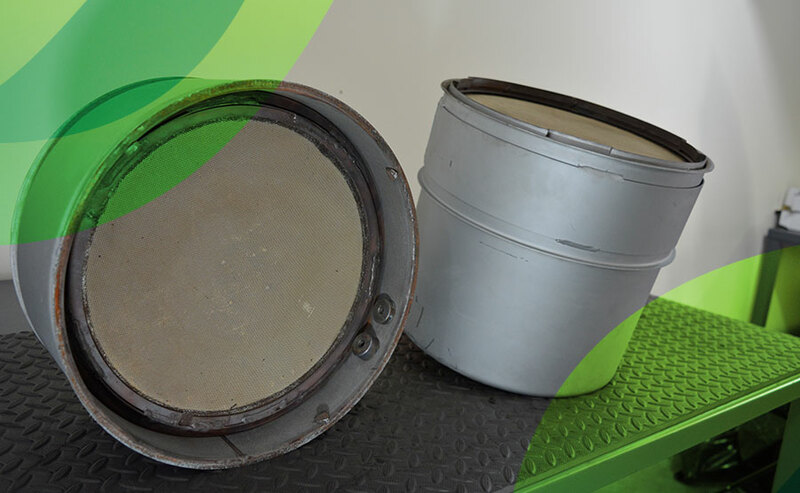 DPF Solutions offer replacement within 24 hours or depending on the case the same day. We are distributor of diesel filters RoadWarrior. Using all three professional technologies of pneumatic, thermal and ultrasonic cleaning, we obtain magnificent results for the EGR COOLERS cleaning. This part of your diesel vehicle gets clogged with soot from the emissions of the engine, making it failure and stop, and vehicles companies suggest to make the maintenance of the EGR COOLER every 6 months or 100,000 miles, that will improve the performance and durability of your vehicle. 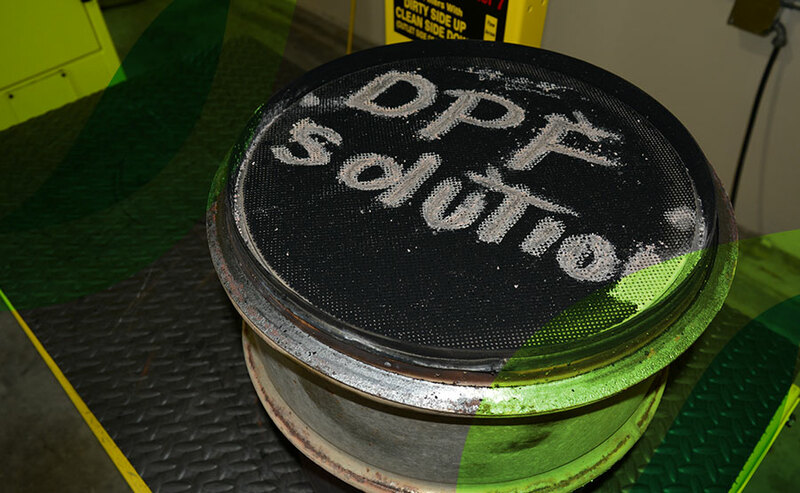 We in DPF SOLUTIONS INC, offer the most complete cleaning for the EGR COOLERS in 24 hours, performing the three professional technologies available, giving you the warranty of an excellent job. 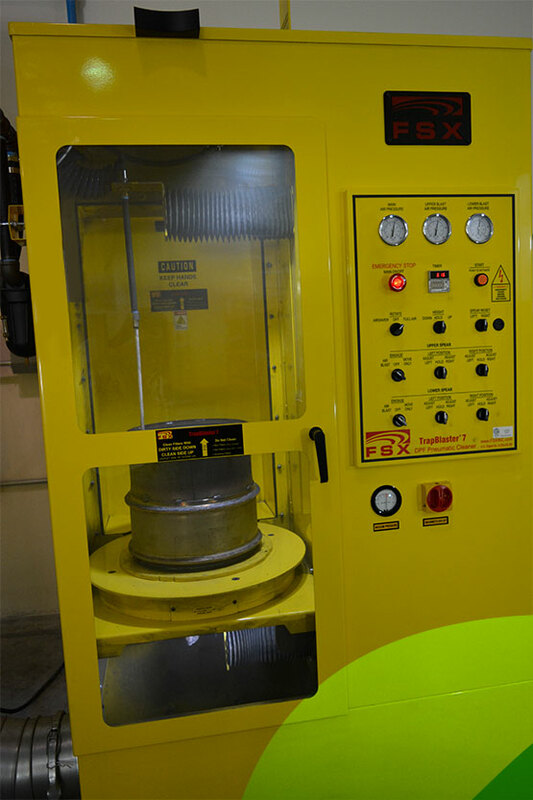 In DPF SOLUTIONS INC we are proud to be the first company in the Orlando area offering the service of ULTRASONIC CLEANING for AUTOMOTIVE AND INDUSTRIAL PARTS, with our 90 gallon ultrasonic machine and its high load capacity we can obtain excellent results cleaning almost every mechanical part for vehicles and a wide variety of industrial parts. Come to visit us and bring the part that you need to be cleaned, or send us a picture, and obtain a free quotation. And now we are offering the FLYWHEEL RESURFACING, in 20 minutes you can have your Flywheel as good as new, no need to buy a new one and spend lots of money, only for $70 you can have the best results in the market, because we use the latest technology in resurfacing, less abrasive and with excellent performance. Delivery Services offered facilities at no cost for our clients. We pick up the filter and delivery to your location. Effective cleaning results are only achieved by determining a cleaning strategy tailored specifically to individual DFF´s condition. 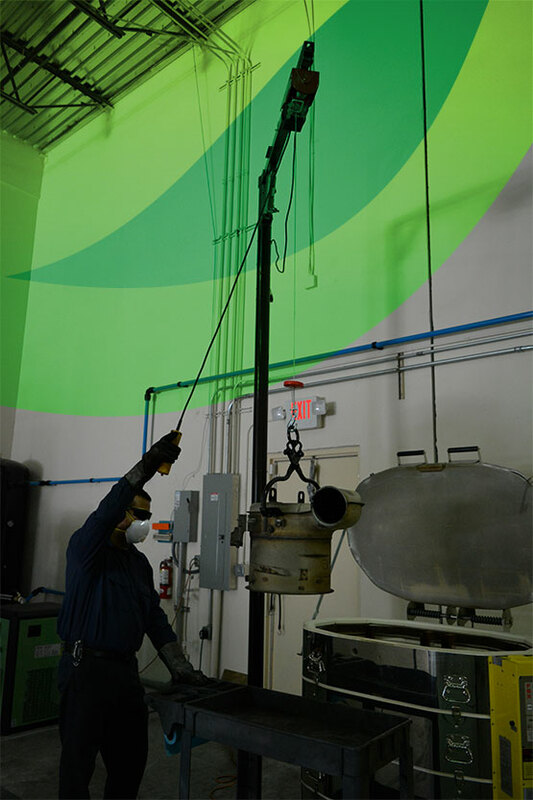 It is essential that thorough inspection and testing be completed initially and throughout the cleaning process. Diesel particulate filter (DPF´s) are designed to remove particulate matter in diesel exhaust. 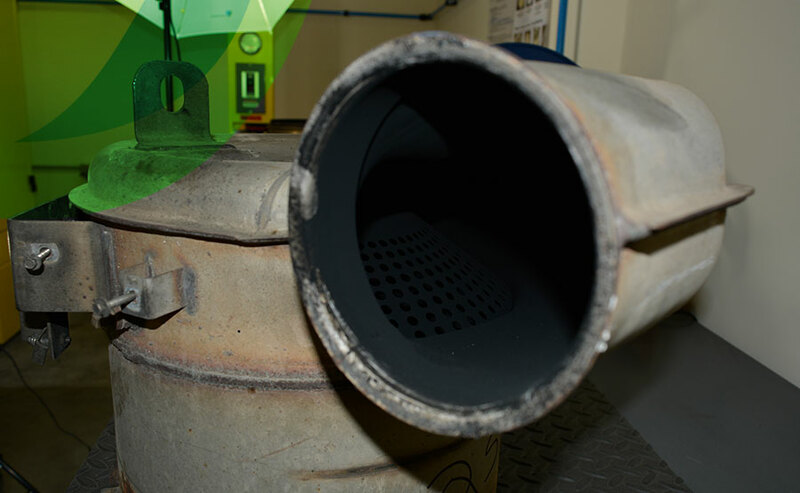 In a correctly operating vehicle, soot capture in the DPF is periodically burned off during normal operation. Engine wear, corrosion and combustion of engine lubricants result in ash accumulation in the filter. Over time this increase the backpressure on the engine lowering the fuel efficiency. Complete thorough removal of this ash is essential for operating efficiency of the engine as well as optimizing the length of time between service intervals. 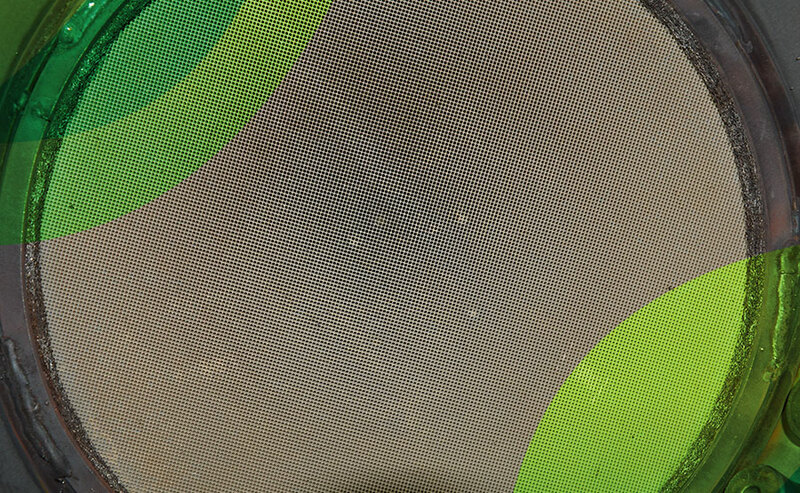 These two primary component are distinctly different and react different to cleaning techniques. Exhaust in highway trucks is usually hot enough to burn off most soot in a process called “passive regeneration”. However, those involved in stop-and-go operations or that idle a lot don’t get their exhaust hot enough. The latter must “activate” burn out soot from the substrate by injecting extra fuel just upstream of an oxygen catalyst or by plugin in an electric heater when parked. Ash from motor oil stays in the filter´s substrate and must be periodically blown or washed out. 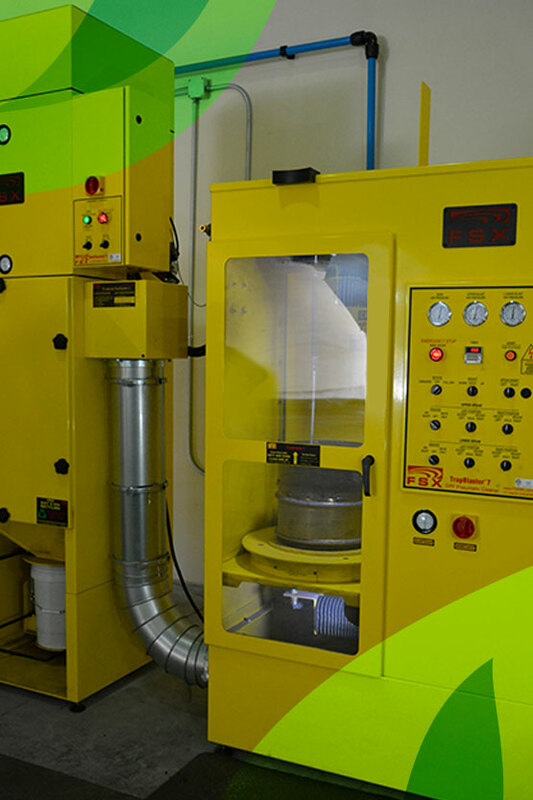 This is done by removing the DPF from the truck and placing it on a special machine. It sends compressed air through the substrate in a series of measured puffs. Blowing or washing out ash must be done every 50.000 miles or once a year. This, too, is indicated by a warning light. These, too, are capture by the DPF, and usually it can´t burn them out through normal processes. So occasionally the substrate must be removed from the DPF, then heated and baked in a special machine to burn out the crud. 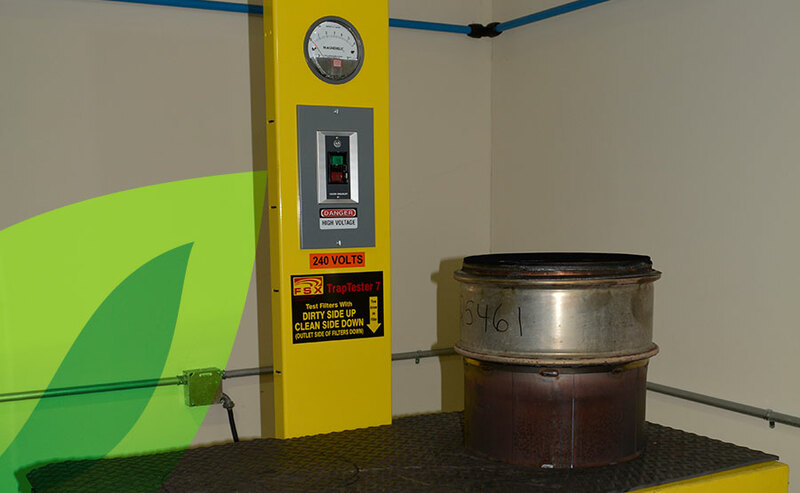 Ash & Soot Disposal removed from the DPF is collected in the filter of the SootSucker dust collector and pulsed off into a bucket or barrel. This ash is collected for a Recycle Company who is responsible to process the ash and use it in other area. If you have any emergency with your DPF, call us! Are you interested? Write to us or call us now! Here you can tell your requirements.